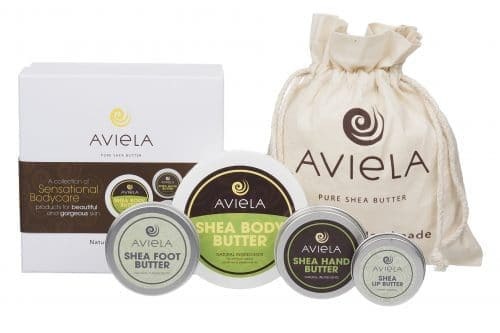 Win an Aviela Skincare pure shea butter collection gift set worth £35! Win a gift set worth £35 full of Aviela products! Win an exclusive collection of Sensational Bodycare products for beautiful and gorgeous skin. The collection includes all of your favourite natural skin and body care products including Shea Body Butter, Shea Foot Butter Mini, Shea Hand Butter and Shea Lip Butter. What natural ingredients are in Aviela’s pure shea butter? This competition closes on Friday 25th September 2017 at 1pm. A winner will be chosen at random and announced on Monday 28th September 2017. If you miss out Aviela are offering 15% off all of their products at Olympia Beauty 2017. By being a part of this competition you will automatically be registered to attend Olympia Beauty 2017. Join Olympia beauty on Facebook, Twitter or Instagram. I always try to use natural products.